Dogs for Good welcomes the recent comments from Secretary of State for Education, Rt. Hon Damien Hinds’ about the benefits of dogs in schools, but is keen to stress how vital it is to ensure the welfare and wellbeing of each dog working in an educational setting. Dogs for Good has been active in developing good practice guidelines, including a factsheet which is an essential starting point for any school thinking about having a dog in their school. The charity has also worked with the Kennel Club to produce more detailed guidelines for dogs that visit schools. 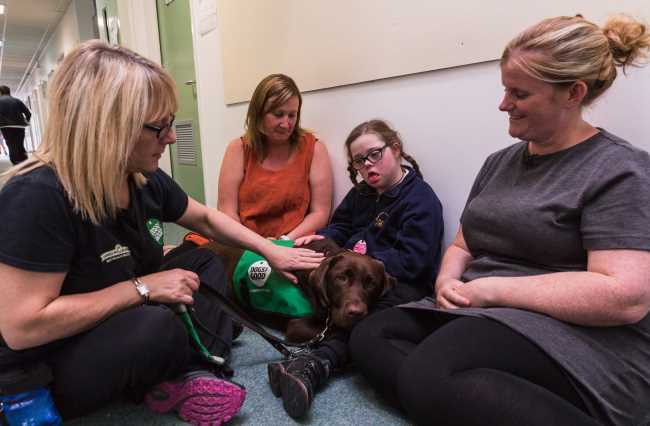 As a charity with 30 years’ experience in making life-changing differences for people with disabilities, Dogs for Good has, over the past two years, developed a specific Community Dog Service for Schools. This uses the principles of Animal Assisted Interventions which supports students in reaching their individual goals. The charity has looked at a number of approaches and developed a service where highly-trained dogs work with specialist handlers in educational settings. The dogs and handlers become part of the fabric of school life and an integral part of the staff team. They work alongside teachers and therapists to maximise the positive benefits for students and the wider school environment. Dogs for Good’s Community School dogs and handlers engage students in the classroom, helping them to learn and focus on individual tasks. Activities with the dog can also be designed to help students overcome specific individual challenges, supporting positive behaviours and improving interactions with others. The dog can act as a focus or role model for group learning, such as diet, health and personal care and also be a source of emotional support for students. Additionally, the school dog works alongside the handler and therapists to engage and support students in therapy sessions, such as speech and language therapy, physiotherapy and occupational therapy. Here the dog can act as an important motivator and partner in a session, boosting engagement and ultimately improving therapeutic outcomes. 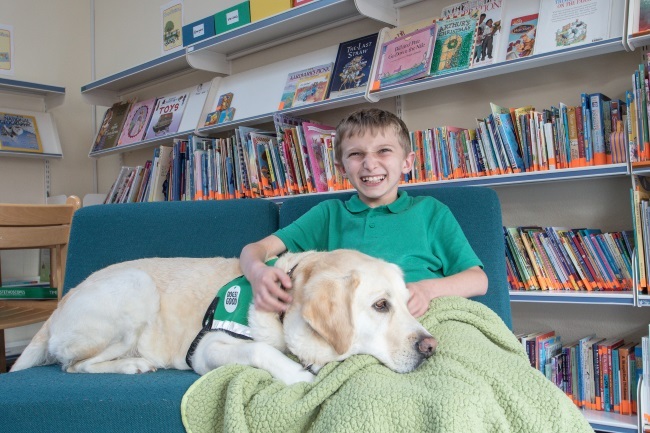 Find out more about the benefits of community dogs in schools.